When your sink faucet is broken or leaking, it’s a true inconvenience. In some cases, your sink is out of commission while you wait for repair. In others, the wasted water is running up your utility bill. 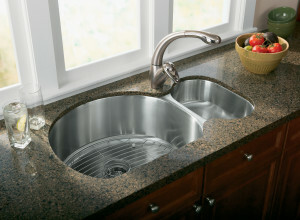 At Faucets & Fixtures, LLC, we provide reliable sink faucet repair and replacement on the Main Line. Even if your bathroom or kitchen is just in need of an update, we can help. 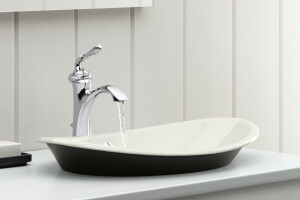 We stock a selection of high quality sink replacements from the top vendors. It’s surprising how much a replacement can do to completely make over a room. If your sink faucets aren’t properly repaired or installed, you could have a serious problem on your hands. Rather than having to fix the expensive mistakes of a substandard home repair, contact the trusted professionals at Faucets & Fixtures, LLC. We have over 25 years of experience providing plumbing services on the Main Line and in the surrounding area. Our team is fully licensed and insured. When you work with us, you can rest assured that all of the proper permits and inspections will be obtained, depending on your township. 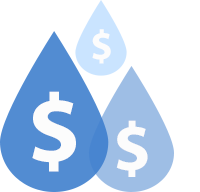 In addition to sink faucets, we also repair hot water heaters and garbage disposals.